E is for Explore! : Get Fancy: Extravagant Vocab and Bottle Tiaras! Get Fancy: Extravagant Vocab and Bottle Tiaras! Create a fancy tiara by upcycling a soda bottle! Teach kids that you can take the ordinary and make it extraordinary! Visit Paper, Plate, and Plane for a full tutorial. 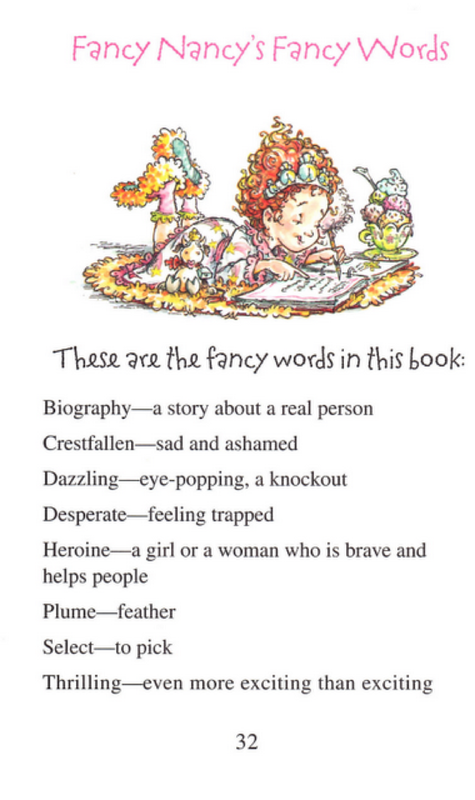 Once your tiara is bedazzled, get ready for a vocab game with Fancy Nancy! Get kids inspired to update their vocabulary, when writing. Check out Fancy Nancy books, create a list of words she uses. Compare and contrast her "fancy" words with "usual" words. This activity will push kids to think outside of the box when writing.